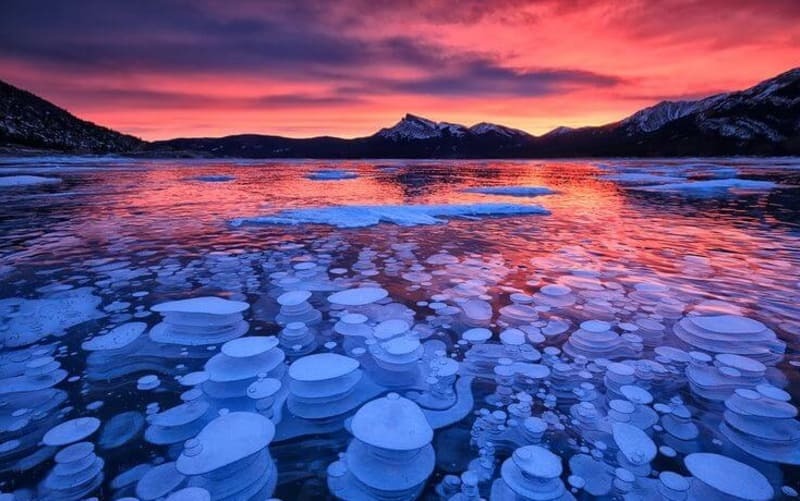 Lake Abraham in Alberta, Canada: Bubbles trapped and frozen under a thick layer of ice creating a glass type feel to the frozen lake. An artificial lake on the North Saskatchewan River lining the David Thompson Highway between Saskatchewan River Crossing and Nordegg. It was created in 1972 with the construction of the Bighorn Dam. Although man-made, it still possesses the blue colour of other glacial lakes in the Rocky Mountains.